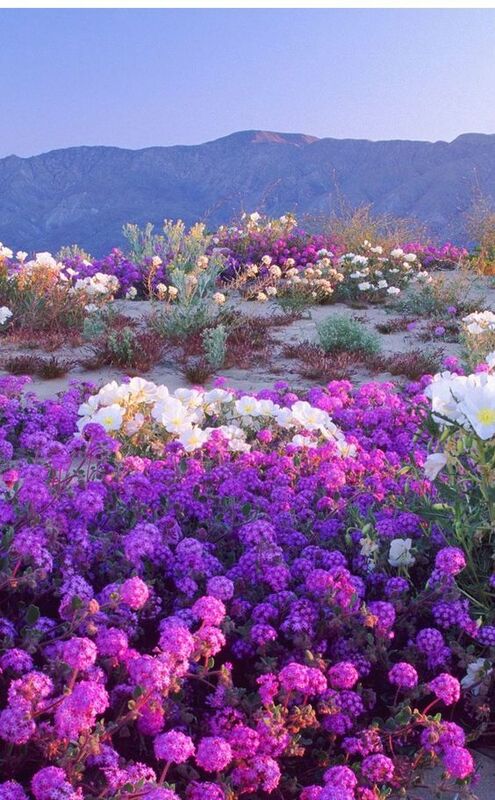 This park in California (comprised partially of the Colorado Desert) has its own wildflower watch. You can even pick up a flower map at the ABDNHA’s Nature Center to find out where every single species blooms throughout the entire park. The park has a “rolling bloom,” which means that in different regions, elevations, and times throughout the year plants and flowers are blooming. The environment is a never-ending kaleidoscope of color, enthralling visitors no matter when they arrive.